We are taking our most popular sizes, and making the ordering process very easy right right from this page. We will be adding styles, and sizes as time permits. 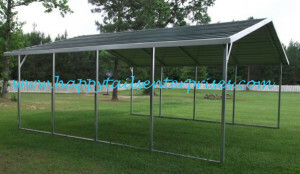 This order page is for the person that only wants a basic Carport, with no extras, such as sides, ends, mobile home anchors, etc. If you need a different style, larger size, or extras, we are available to handle your order right over the phone. 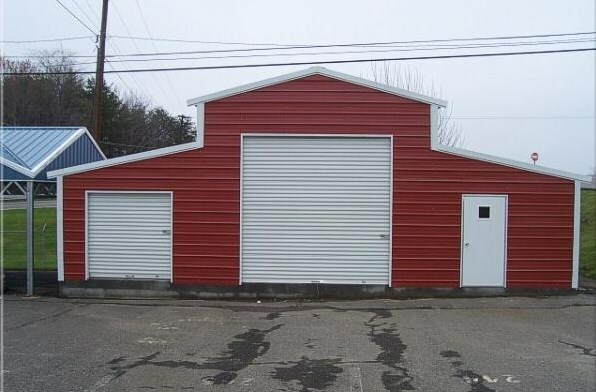 Once we receive your order we will contact you to go over it with you, confirm concrete or ground installation so the crew can bring the proper anchoring hardware, and any other questions we may have. Once your order is confirmed, an invoice will be emailed to you. Need help? Normal delivery and installaion is within 1-6 weeks,depending on the workload in your area, and time of year. 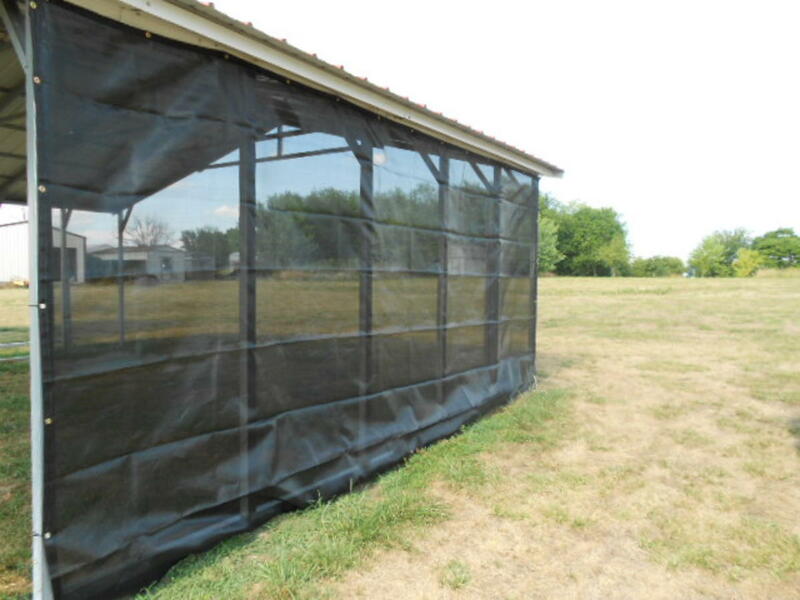 This price is good in KS,NE, AR, IA, IL, IN, MO, OK,. 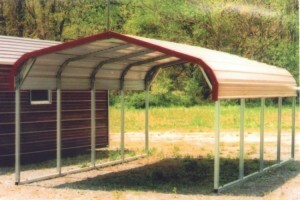 Enter your color choices for both the roof panels, and the trim in the message box at the time you submit your order. 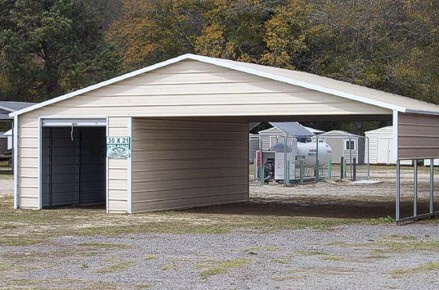 Be sure to use the installation address where your new carport is to be installed, and provide the best phone number to make contact with you. 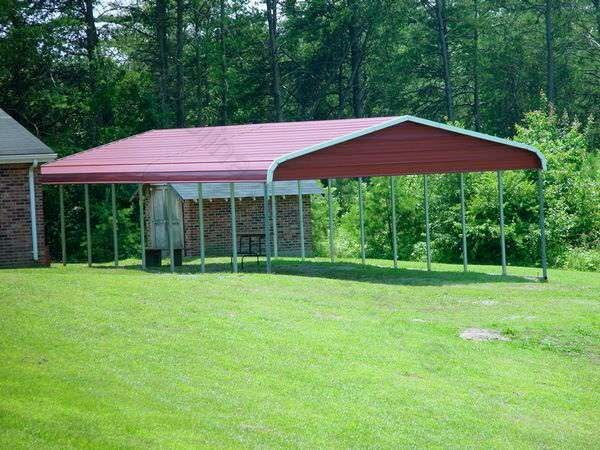 Your Carport deposit is $84.50, with the final balance due after installation. This price is good in IA, AR, IL, IN, NE, MO, KS, OK. 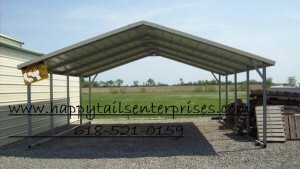 Enter your color choices for both the roof panels, and the trim in the message box at the time you submit your order. 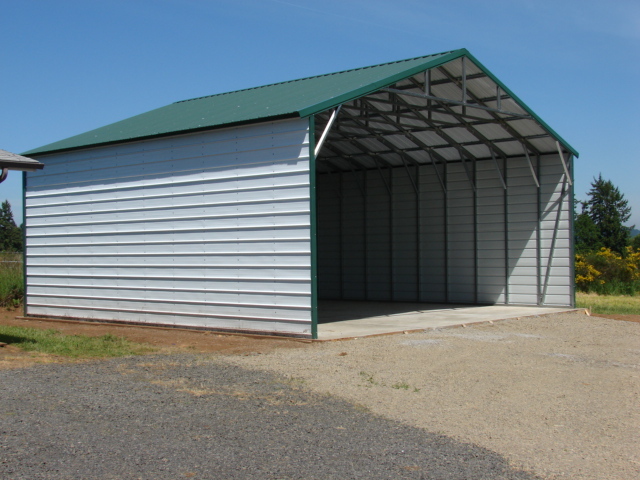 Be sure to use the installation address where your new carport is to be installed, and provide the best phone number to make contact with you. 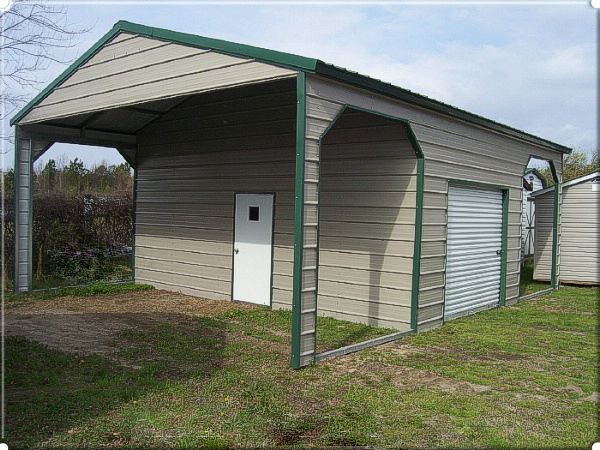 Your Carport deposit is $94.50, with the final balance due after installation. This price is good in AR, NE, IL, IN, KS, IA, MO, OK. 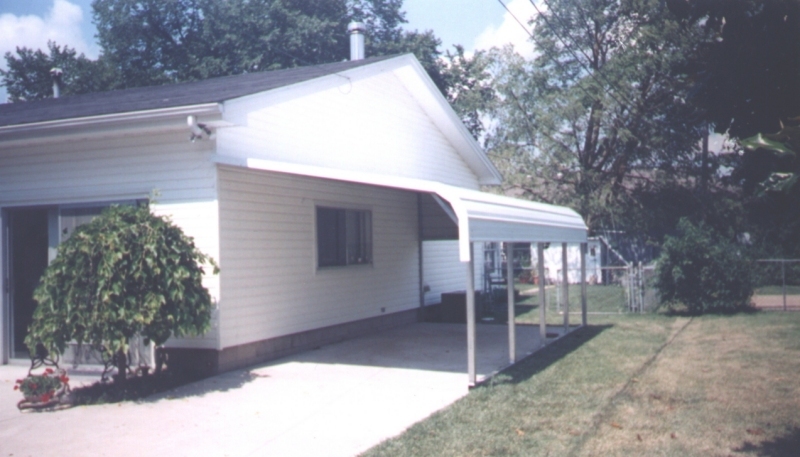 Enter your color choices for both the roof panels, and the trim in the message box at the time you submit your order. 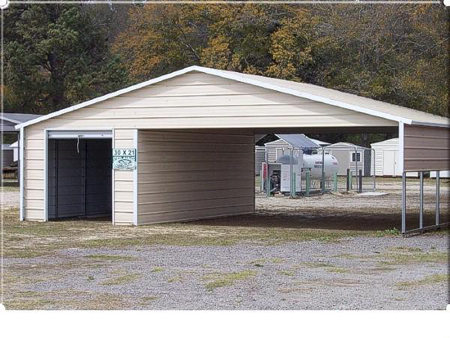 Be sure to use the installation address where your new carport is to be installed, and provide the best phone number to make contact with you. 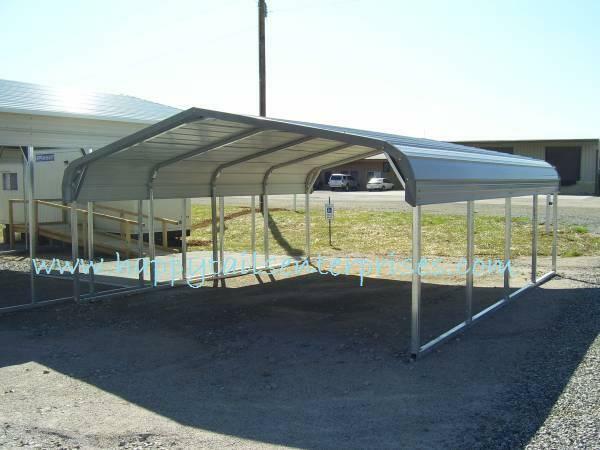 Your Carport deposit is $104.50, with the final balance due after installation. This price is good in KS, AR, IL, IN, IA, MO, NE, OK. 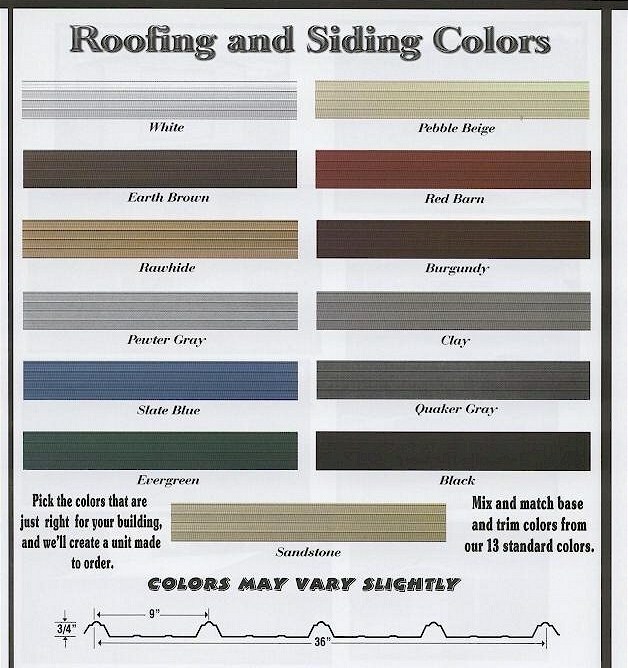 Enter your color choices for both the roof panels, and the trim in the message box at the time you submit your order. 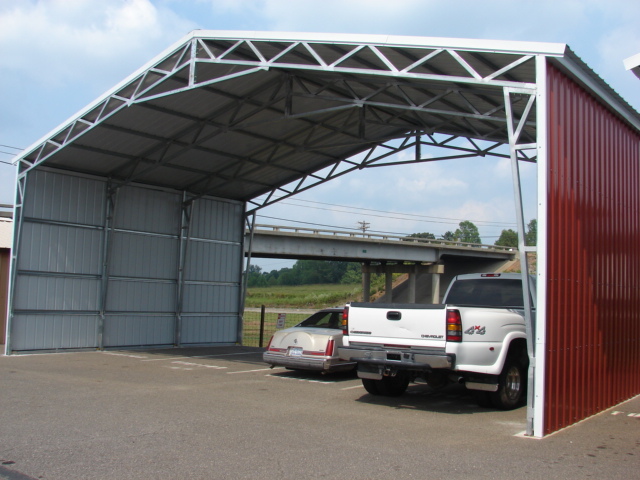 Be sure to use the installation address where your new carport is to be installed, and provide the best phone number to make contact with you. 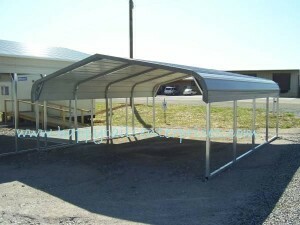 Your Carport deposit is $214.50, with the final balance due after installation.